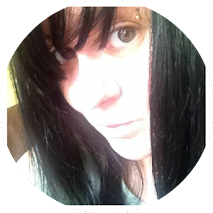 I was delighted when i received an email from the lovely Amy from Fanny Crown who asked me if i would like to choose some dresses from the website and do a post on how i would style them. I was well up for this challenge and in true Kate style, i found it really hard to choose. But after scouring the website, i have come across three truely stunning dresses that really caught my eye. Every woman has pictured and planned her wedding since she was little. I have had the same concept for my big day for a very long time now, and now that i have found the man i want to marry, the thought of putting my ideas to fruition is too exciting for words. I dreamt of having a big white dress since day one and this absolutely incredible Sweetheart long white wedding dress is the one for me. The bodice is exactly the vision i have for my dream dress. A sweetheart neckline with minimal detailing. The organza skirt is again exactly what i had in mind. And as for the back, look at that beautiful lace up detailing! It's just perfect in every sense of the word and i love it. 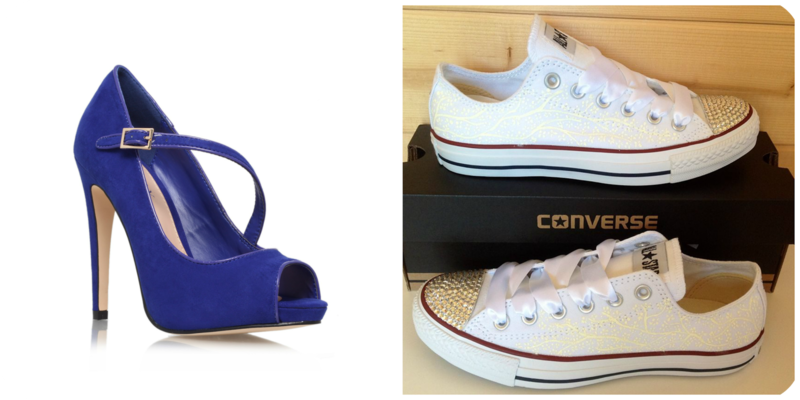 When it comes to the shoes, i wouldn't go for traditional white, well not for the service anyway. I would opt for these stunning Kurt Geiger Maxy peep toes that would inject a pop of colour and also go with the colour theme ( Me and Carl really like blue ). Also, it would count as my 'something blue'. 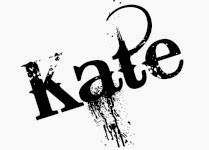 As far as the reception is concerned, that's when i would change my footwear into something a bit more 'me' and will let me dance well into the night and for that i would go for these white converse that i would have personalised to say 'Mrs Coates'. It's a little bit of added fun. I have a soft spot for paisley designs and when i saw this paisley evening dress, i fell in love. The detailing is simplistic in that it doesn't cover the whole dress which i think makes it look alot more elegant. The shrug esque design at the top is really beautiful and adds that oriental type feel to the dress. 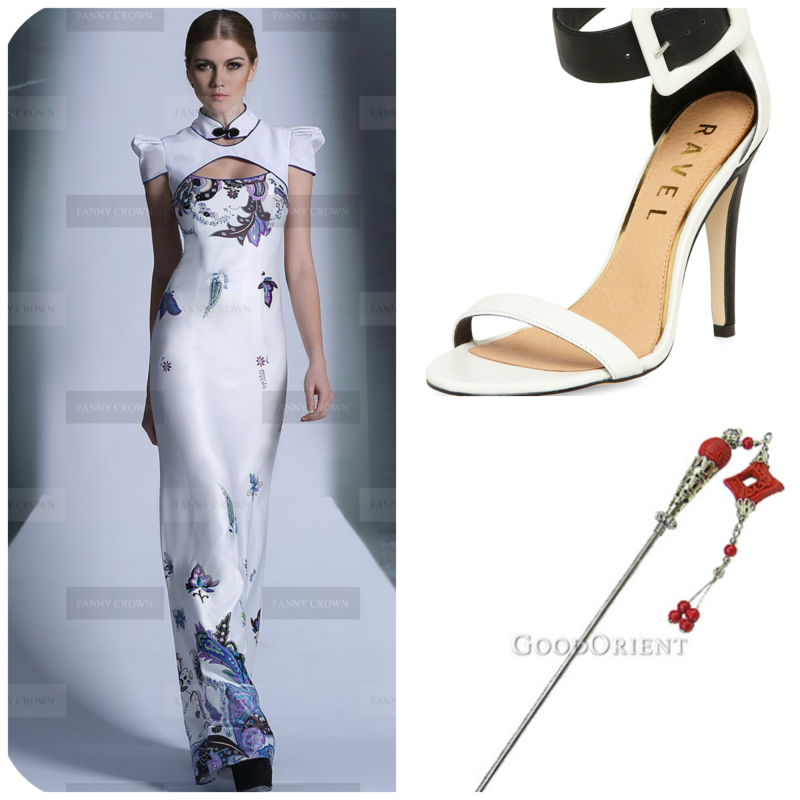 I would add a pair of white strappy heels to compliment the white of the dress and to add even more to the chinese inspired outfit, i would add a cinnabar hair pin to finish the whole look off. I don't think jewellery would be necessary as the whole outfit speaks for itself and doesn't need anything more adding to it. It's beautiful all it's own. After doing this post, i'm now desperate to own all three of these amazing dresses. The website has a fantastic range of dresses ranging from bridal to prom wear and everything else in between. I have also been given a 15% discount code to share with you all should you find something on there that has taken your fancy. 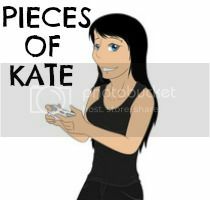 Just type in PIECESOFKATE14 at the checkout. Thanks again to Amy for giving me the opportunity to do this, i really enjoyed having a good root through the website and being incredibly angry at myself for not having any money!